A quiet week on the beach. Not for the Fishing Tails team! I was amazed by the lack of anglers on Chesil this weekend. Every time I drove past the beach was almost empty. I don’t know if you were all doing your Christmas shopping, or had just heard that the fishing was poor. I talked with the guys in the tackle shop and they told me that the fishing was not very good at the moment. I am not sure what they mean by not very good, as the Whiting and Plaice fishing has been hectic at times. I had several good sessions last week, both on bait and lures. If they mean that it’s poor because there are very few Cod showing, then they would be right, but winter fishing is not just about boring old Cod. 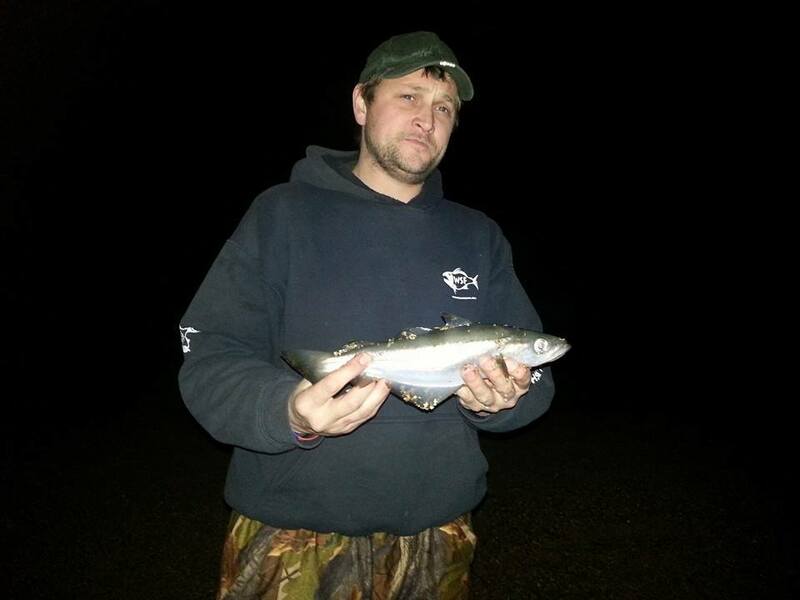 Chris Powell came down from South Wales with a couple of mates to fish overnight on Saturday, and they ended up with a real mixed bag, including an 11lb Conger, 4lb Wrasse, loads of Pout and Whiting and an unusual Coalfish. Yes it has been five days, since I last posted, and no that is not going to be the pattern for the future. Far from it in fact! All of us have been extremely busy, working to make the site better and produce more articles for the coming weeks. I have been filming, guiding, fishing and concentrating on learning how to use all the hardware and software that I have invested in over the past few weeks. Adrian has been busy working in the background as usual. He is working on a more mobile device friendly look to the site, as well as trying to figure out how to best implement the multiple requests for improvements and additional features that I keep demanding from him. Though he did manage to escape from London and join me for a great lure fishing session mid week. Our Solent contributor Loraine, was busy preparing for her first ever match yesterday, and I know she will be sharing that experience with us later in the week. Leo has been working nights, so has not been able to get out to much around the Poole area. He did get a chance to over the weekend, so we have some reports as to what is happening in that area. Chesil Beach: Calm with a small swell and clear water. Chesil Beach forecast: It is hard to imagine that with the water temperature now below 10?C that there is still Mackerel around. There seems to be plenty of them, especially Joey’s. The Cod seem to have disappeared, but there will still be the odd few that will be caught along the beach. Plaice now seem to be showing at different parts of the beach. My mate Paul had two nice ones yesterday from the Ferrybridge area. 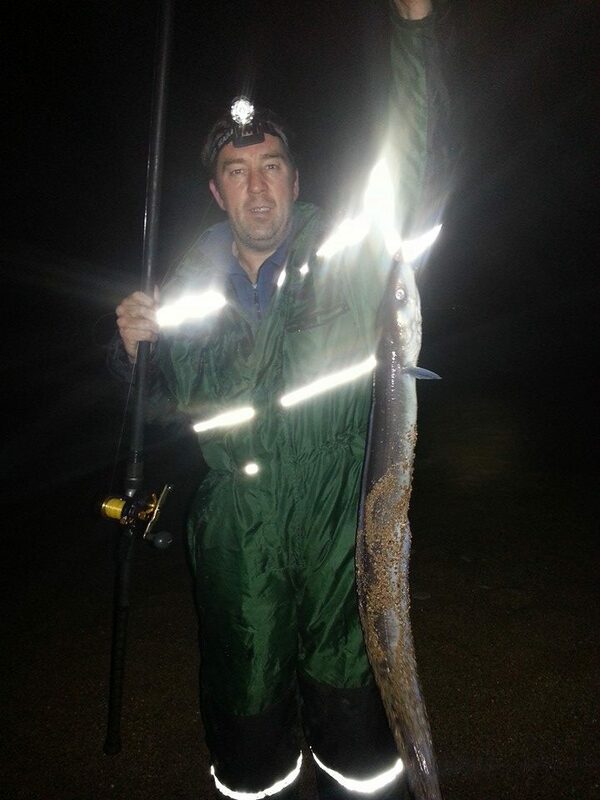 Night tides are producing lots of Whiting and Pout. The Dogfish are not in the numbers I would expect, but there are a few Pollock coming in. Portland: With the continued settled weather, the Wrasse and Pollock fishing around Portland has been superb. Every time I have gone out I have managed at least a dozen Pollock. The Wrasse are a good size, as the smaller ones seem to have moved into deeper water. Portland Harbour: A few late School Bass and Pollock have been spotted around Ferrybridge. Flounder are around in decent numbers and the ones I have seen are in great shape. Weymouth Bay: As usual the piers are fishing well for species with Pollock, Mackerel, Garfish, Pout and Flounder all continuing to be caught. This is the time of year that some of the lure fishing guys get their LRF (light rock fishing) gear out and target the mini species. It can be a lot of fun catching loads of different species on small lures. Especially if you hook into a larger Flounder or Pollock. Poole: Leo managed to get out this weekend, and he reports that the Flounder fishing in Poole harbour is really starting to pick up. Plenty of nice heavy Flounder are showing from all over the harbour. The main problem is getting through the hundreds of tiny Bass. Hopefully that is a good sign for the future of Bass fishing. 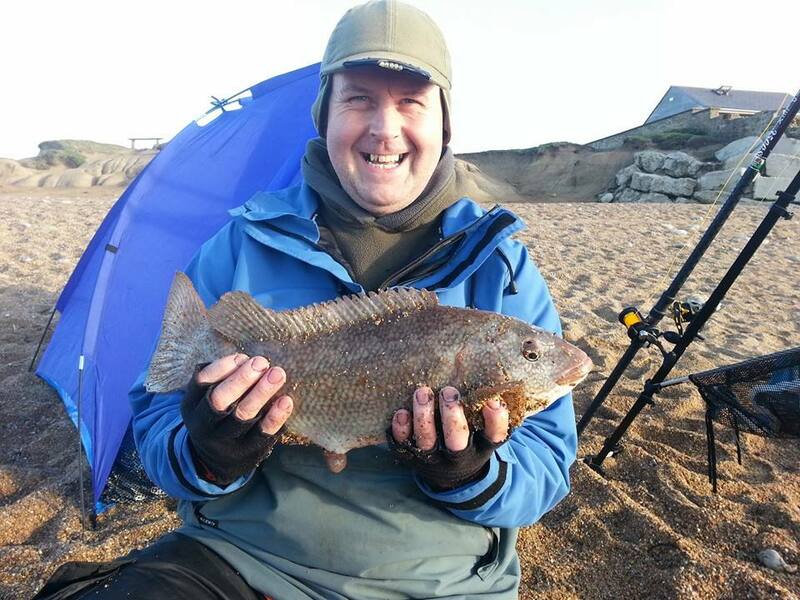 Fishing Tails > All Articles > Reports > Chesil Beach > A quiet week on the beach. Not for the Fishing Tails team!